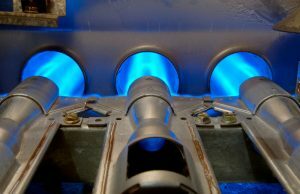 Of all the problems or issues to deal with in your home during the winter, a broken down or malfunctioning furnace is probably among the worst. When you live in our area, it’s vital that you have a fully functional and efficient heating system in place. To accomplish this, you’ll first want to ensure that you schedule routine maintenance for the system before the season begins in earnest. For a furnace system this means once a year, while for a year-round heat pump or ductless system it means every 6 months. Next, you want to ensure that you manage any need for heating repairs that you’re either alerted to during maintenance, or you suspect. Two heater repairs needs in particular that we get the most calls for as temperatures fade from comfortable fall levels to chillier winter levels is about a furnace system that won’t start, or one that won’t stop. These are definitely repairs you want to avoid, but what do they mean? There are a couple different possibilities here, with some issues being more serious than others. One possibility is that there isn’t an issue with your heater at all, but rather with your thermostat. Go ahead and check it—is it in heating mode? It could also be that there’s a wiring problem. Perhaps you have frayed wiring leading to the thermostat that hasn’t allowed it to signal to the furnace to turn on. If you want to check this on your own, do make sure to turn the circuit breaker off that leads to the thermostat, first. If this is what’s going on, your next step needs to be calling in a professional electrician for repair. Speaking of the circuit breaker—sometimes a tripped breaker is the reason a heater won’t come on. Check this, and while you’re at it, make sure there’s isn’t a power outage in your neighborhood you weren’t aware about. Even a gas-powered system needs an electrical ignition to start, so this is important to check for. Also, if you do have a gas-powered system, your pilot light could be out. In the absence of these easy-to-fix problems, it is possible that something more serious is happening. Hopefully, you scheduled maintenance—in which case you probably don’t have much to worry about. But your next step should definitely be to call in a pro. So, what if it’s not that your heating system won’t start, but rather that it won’t stop? While this might seem like a minor issue on a frigid winter day, it’s bad news when it comes to the efficiency of your heater, and can be doing damage. Again, this could be a thermostat issue—if the thermostat is malfunctioning then it might not be able to accurately signal to the heating system that the desired temperature has been met and it’s time to cycle off. Or, it might be that the temperature was set too high and the system simply can’t reach your desired temperature. Lastly, your furnace might not be stopping because the air filter is too dirty and clogged, restricting airflow so that it can’t reach the temperature set on your thermostat. If lowering the temperature on the thermostat, or changing/cleaning the air filter doesn’t resolve this issue, it’s time to give us a call. Contact Ambient Comfort today for reliable Camden County, NJ heating services.